This solidly constructed wall hung bathroom cabinet is supplied with a choice of hi gloss white or hi gloss black finish. This stylish bathroom furniture has an impressive soft closing draw, for quiet controlled and easy sliding closure. 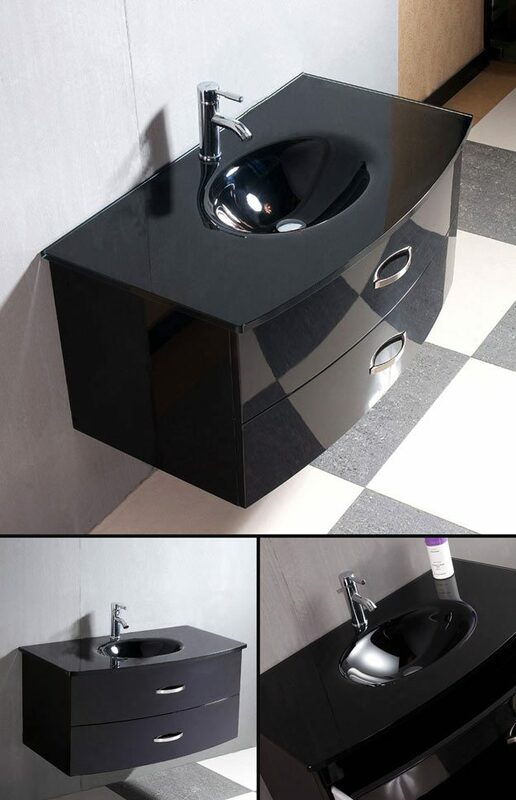 Each wall cabinet includes the glass wash basin with the option to purchase a matching high quality mixer tap. * Contemporary hi gloss finish. * Soft closing storage draws.